The Iridium Jazz Club is very pleased to present a very special engagement by two super stars of jazz Eddie Daniels and Bob James. Eddie Daniels is that rarest of rare musicians who is not only equally at home in both jazz and classical music, but excels at both with breathtaking virtuosity. Eddie has had a long and successful career beginning with the Thad Jones-Mel Lewis Orchestra in the 1960’s. His clarinet and tenor can be heard on many recordings including those with Freddie Hubbard (1969), Richard Davis, Don Patterson, and duets with Bucky Pizzarelli (1973). His recordings for GRP in the 1980’s brought Eddie wider fame and recognition. 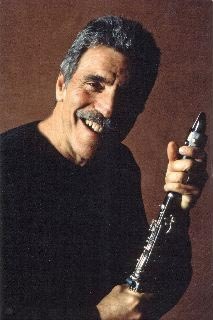 His most recent recordings for the IPO label as a leader and in duo with Roger Kellaway have been critically acclaimed. 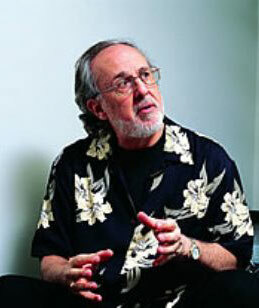 Bob James is best know for his commercially successful recordings for the CTI, Tappan Zee, Columbia, and Warner Bros. label’s. His collaborations with Earl Klugh and David Sanborn, the Taxi TV theme, and the fusion-flavored Fourplay group are all well know to his many fans worldwide. Little known, however is his earlier work, especially his Mercury recording “Bold Conceptions” where the 22 year old Bob James demonstrates his prodigious piano talents in a powerful trio setting working out on jazz classics like “A Moment’s Notice”, “Nardis” and “Birk’s Works” and his avant-garde recording for the the ESP label “Explorations” with Barre Phillips and Robert Pozar. Bob and I have had a musical connection that spans 40 years. From the early CTI recordings of the 60's to a recent album of mine called "Beautiful Love", which some beautiful understated lyrical piano solos by Bob. The week at the Iridium along with Bob James, will have Joe LaBarbara on drums and Dave Finck on bass. It will be a swinging, yet finely integrated quartet that might be defined as "Chamber jazz". The term "Chamber Jazz", denotes music in a close setting that is finely tuned and woven together, even in its' improvisation, and composition, that pulls the listener in due to the utter intimacy of the situation. I believe this approach can transform the performer, as well as the listener. The music will be comprised of several originals and some very creative approaches to standards such as "I Concentrate on You", "You Make me Feel So Young" and something by Bach that will eventually take us to another planet. I am truly excited about how refreshingly creative this week will be! Growing out of a chance meeting at the Chicago airport a few months ago, Eddie & I have been reminiscing about the various directions we've taken during our parallel careers. Although our paths have occasionally crossed, I've always deeply regretted not having had more opportunities to play with him. I admire the incredibly high standards he sets for himself, and have sought inspiration many times from listening to the legacy he has created through his beautiful recordings and live performances. I was thrilled when Eddie invited me to play with him at the Iridium. We've been communicating a lot about how to stylistically approach this collaboration, but my instincts are telling me that our improvisations will set the tone. Perhaps more than any other art form, jazz happens in the moment. You can talk about it, you can (and we will) rehearse, you can theorize, ......but what I crave most is the unique feeling I get when I'm about to embark into unknown territory. Especially when my captain for the journey is someone I trust and respect. Individually & together Eddie & I want to inspire & challenge our listeners. We've spent our lives with a deep passion for jazz, and the dialogue we plan to engage in during this long overdue reunion will give our audiences the opportunity to hear the influences that have shaped our styles. We've both been fortunate to play with many great jazz artists. We both have a deep love and respect for classical traditions, and an open attitude about drawing from other idioms to enrich our musical space. All of these ingredients will combine to fuel the fires we plan to light up on the Iridium bandstand. Put me in coach! I can't wait!